This past year has brought us two incredible rescues of long-suffering elephants: Sunder, a long-abused elephant who was finally retired to a reserve in India, and Raju, the "weeping" elephant whose story captured international headlines. While both are doing much better in their respective new homes, that type of victory is far off for some captive elephants. Even worse, Mali suffers from a debilitating foot condition, and is often seen lifting her front left foot so as to not put weight on it. According to PETA Asia, she spends countless hours of the day pacing her enclosure, a pattern known as stereotypic behavior that is often exhibited in zoo animals. "The Manila Zoo has failed Mali. Not only is she suffering from isolation and captivity-induced foot problems, I've also learned that she has not even had basic blood work conducted in the three and a half decades that she's been at the zoo." 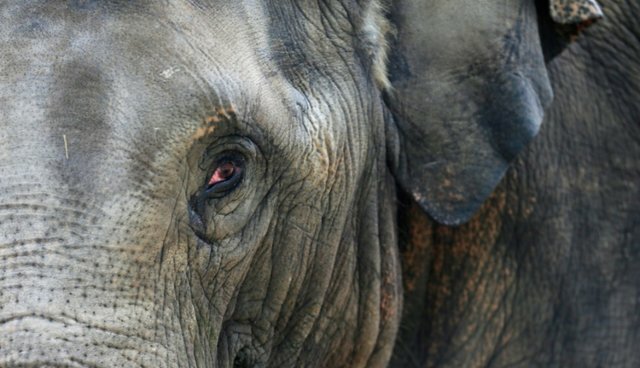 But there is hope for Mali -- the 500-acre Boon Lott's Elephant Sanctuary (BLES) in Thailand has already agreed to accept Mali in her retirement, and PETA has volunteered to cover all expenses related to her transport and preparation for the journey. Now, the only missing piece is the zoo's obligation to let Mali retire. You can email Philippine authorities to call for Mali's retirement here.